On 3-4 September 2018, the international community gathered at a high-level conference in Berlin to formulate a response to the complex crisis in the Lake Chad region in northern central Africa, which remains one of the most severe humanitarian emergencies in the world. More than 2.4 million people have been displaced (half of whom are children) and more than 10.7 million require humanitarian assistance. Multiple factors are contributing to the crisis: including conflict between state armed forces and insurgent groups – notably Boko Haram – and environmental degradation, which has led to food and water insecurity. The High Level Conference on the Lake Chad Region – co-hosted by the UN, Germany, Nigeria and Norway – aimed to galvanise support to address humanitarian needs, tackle the crisis and its root causes and build resilience. The conference resulted in USD 2.17 billion being pledged to address the crisis by UN member states and international donor organisations, with a further USD 467 million in concessional loans from international development banks. The intent is to ensure that the funds generated target the needs of the most disadvantaged and vulnerable groups. It is critical that the specific needs of adolescent girls, as among the most disadvantaged and vulnerable in this crisis, are attended to and their voices listened to, not only to ensure their security but that of their families and communities and the wider region. Adolescent girls are impacted by the protracted crisis in ways that are different from adolescent boys and from women, and in ways that are often overlooked. Recent research conducted by Plan International and Monash University’s Gender, Peace and Security Centre has investigated adolescent girls’ unique needs and experiences in the Lake Chad Basin, specifically in Nigeria, Niger and Cameroon. The research also sought to present girls’ views on the ongoing crisis, so that their needs can inform humanitarian programmes. Across Nigeria, Niger and Cameroon, 449 girls across two age groups (11-14 and 15-19) were surveyed. In addition, 46 focus groups and 57 interviews were conducted with girls, as well as boys, parents and guardians, community leaders, local authorities and members of civil society organisations and non-governmental organisations. One of the most shocking revelations from the research was the extent of child, early and forced marriage across all research sites. Adolescent girls in Niger were far more likely to be married with 48 per cent of those surveyed aged 15-19 being currently or previously married. Of those surveyed who are currently married, 57.4 per cent were married at the age of 14 or 15 years, which indicates that vulnerability coincides with the end of primary education. Reasons for high levels of child, early and forced marriage include community expectations and practical drivers, with the cost of school fees and materials, closure of schools and the need for adolescent girls to provide household and care labour all identified. In some locations, marriage was described as a protective mechanism by guardians fearful of kidnapping. Some adolescent girls also described how the community and parents forced girls to marry perpetrators of sexual assaults. Many saw child, early and forced marriage as having increased as a result of the crisis, deteriorating economic conditions and rising food insecurity. The practice of bride price means marriage can be deployed as a negative coping mechanism by families struggling to access food. Many girls also referred to abject poverty as a driving factor. Most adolescent girls in this study saw child and early marriage as a threat to their current well-being and future prospects. In particular, it was seen as a significant barrier to accessing education, with girls forced to leave school to get married. The link between limited access to education and the prevalence of child marriage is evident across the Lake Chad Basin, particularly in Niger where 81 per cent of women aged 20-24 with no education and 63 per cent with only primary education were married by the age of 18, compared to only 17 per cent of women who completed secondary education or higher. Niger has the highest rate of child marriage in the world, with three in four girls marrying before their 18th birthday. Child, early and forced marriage also increases the likelihood of early pregnancy and its associated health risks. Combined with a lack of access to sexual and reproductive health rights information and services, this puts adolescent girls at greater risk of contracting sexually transmitted diseases, including HIV. Maternal mortality is at high rates throughout the Lake Chad Basin, with one of the highest rates in the world. Of those girls surveyed, 11 per cent had been pregnant, with 15 and 16 as the most common age for first pregnancy. Tackling child, early and forced marriage in the Lake Chad Region requires attending to cultural factors as well as the drivers of both physical and economic insecurity. There is a need to raise awareness of girls’ rights and the risks posed by marriage and early pregnancy. This can be done through public awareness campaigns, including meeting with communities and discussing these issues. Alongside this, there is a need to address the violence and economic crisis that increases the rate of child, early and forced marriage. Ensuring there is a legal framework to protect the rights of girls – and that it is enforced – is required. There is also a need to provide ways in which families and girls can support themselves without resorting to negative coping mechanisms. It is also important to ensure there are avenues for education and economic opportunities and ways to access sexual and reproductive healthcare. 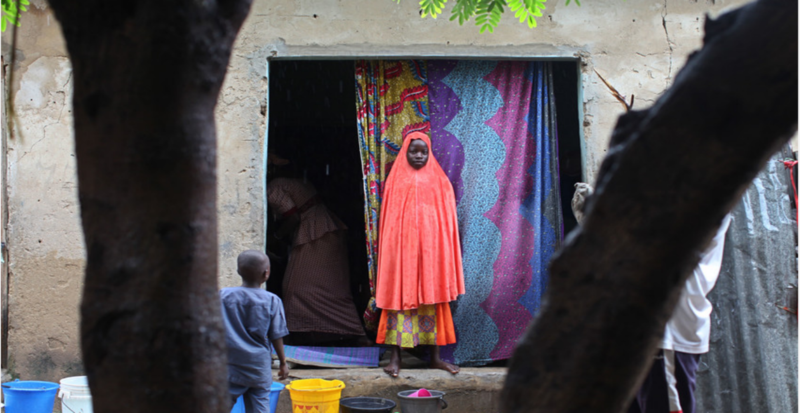 Despite the many challenges they face, adolescent girls in the Lake Chad region have developed coping mechanisms, strategies and capacities to help them navigate the on-going crisis. 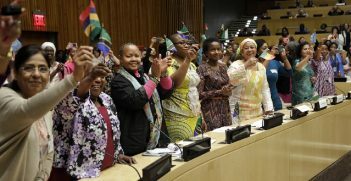 They demonstrate great resilience, entrepreneurial skills, a commitment to hard work, a desire to help others, optimism for the future, insightfulness and fortitude: all skills and attributes which are essential for any society if it hopes to transition towards a peaceful, prosperous and secure future. Addressing their security and well-being will not only help them, but will also enable them to contribute to a brighter future for their families and communities. 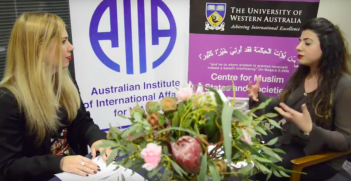 Dr Eleanor Gordon is a Lecturer in Politics and International Development and Deputy Director of the Master in International Development Practice programme at Monash University. Hannah Jay is an independent consultant and specialist in gender-based violence in emergencies, child protection and gender equality. 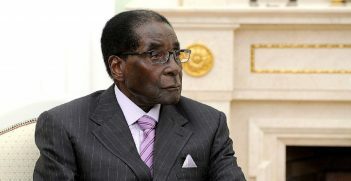 Following a soft military coup that led to the resignation of Zimbabwe’s former president, Robert Mugabe, African countries are grappling with what “democracy” means for them. Zimbabwe's Soft Coup: The Road to Democracy? The looming end of Robert Mugabe's rule presents the first real opportunity for change in how Zimbabwean government operates. What is it likely to mean?